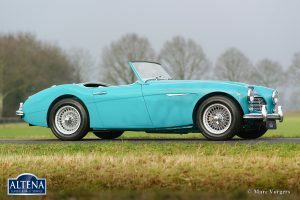 Austin Healey 100/6 ‘two-seater, year 1958. Chassis number: BN6-L/201X, engine number: 16D- RU-H/664XX. Colour Pacific Green with a grey later interior trimmed with dark green piping. 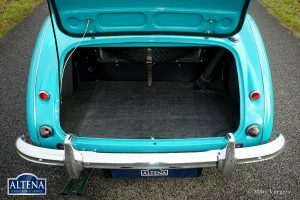 Dark green carpet, grey soft-top and tonneau cover. 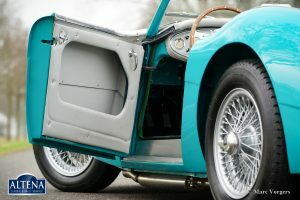 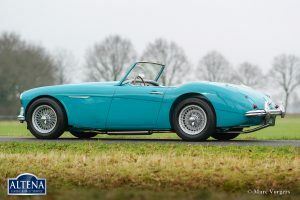 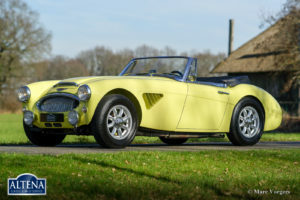 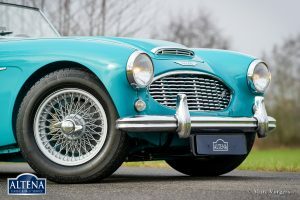 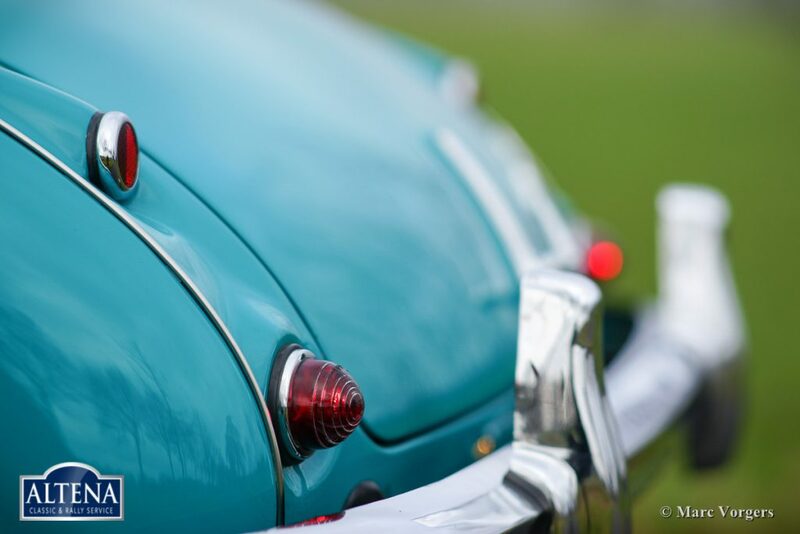 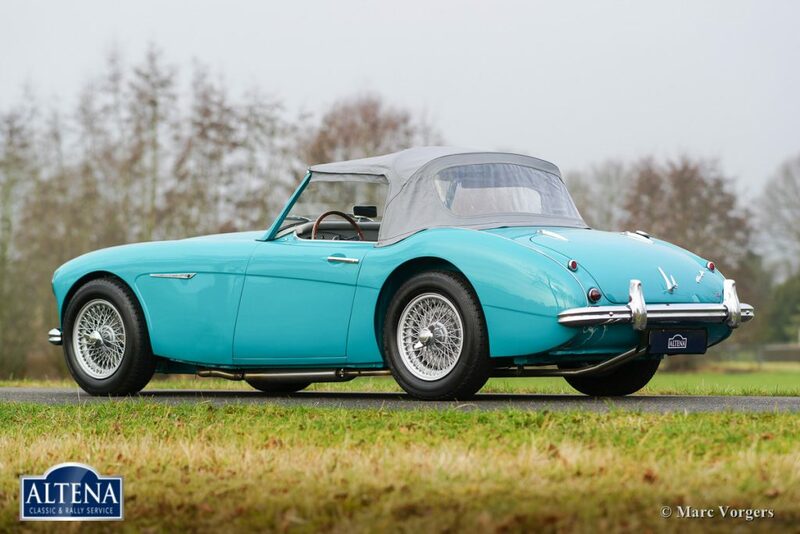 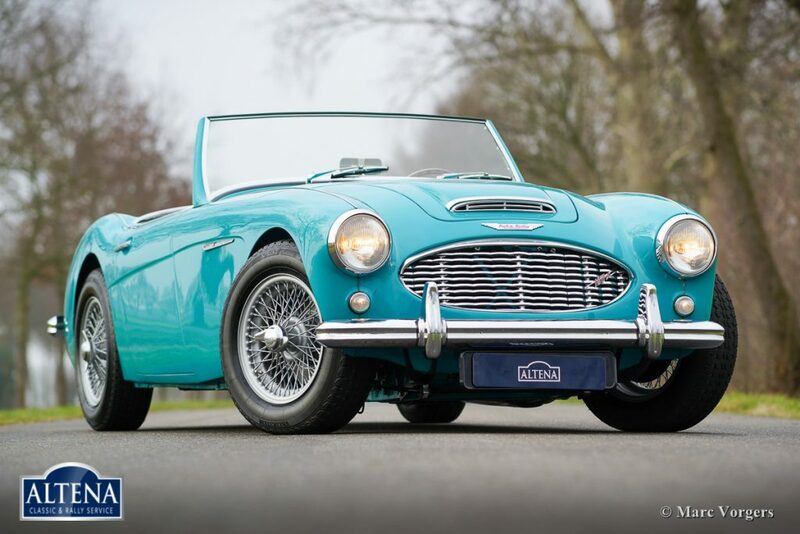 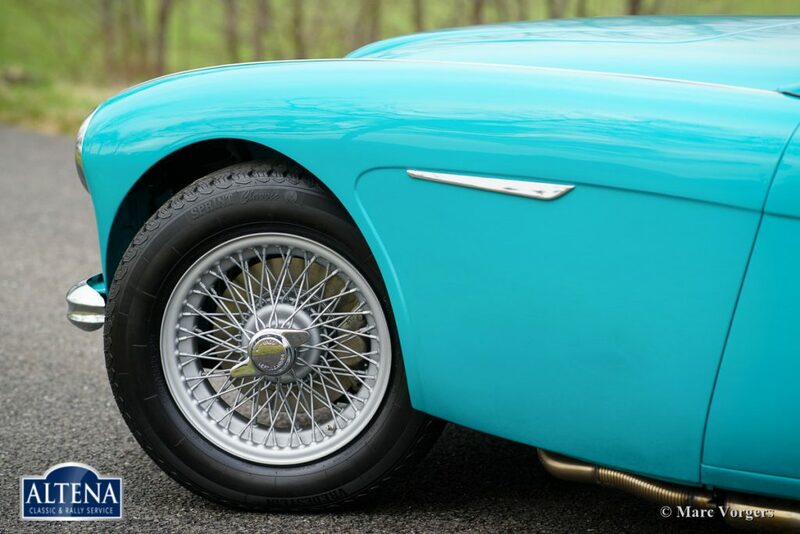 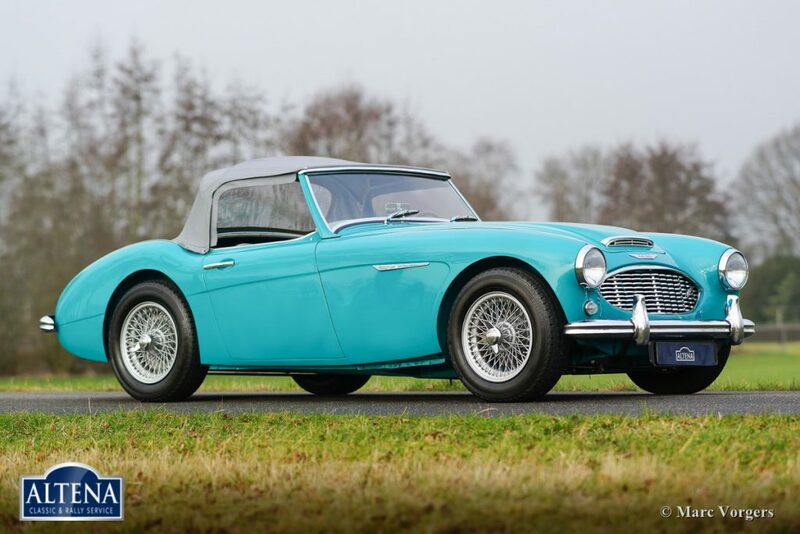 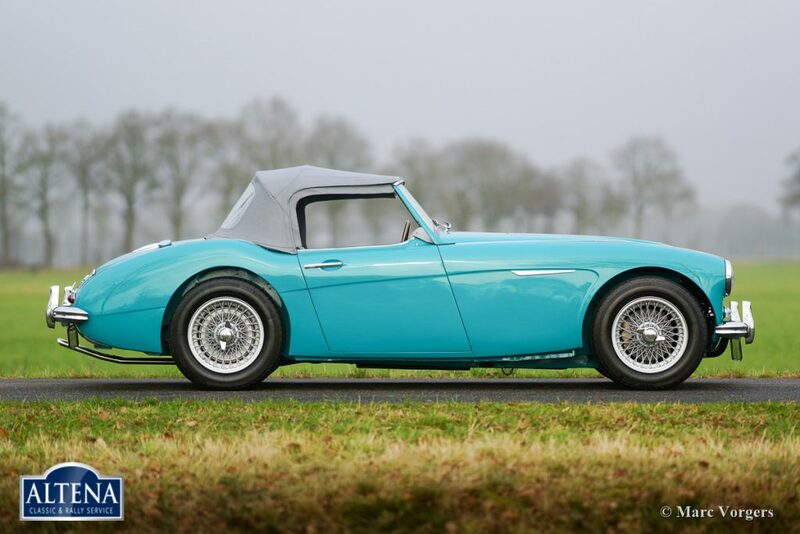 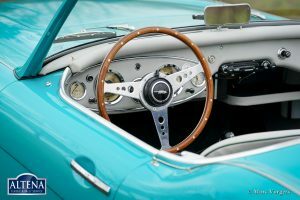 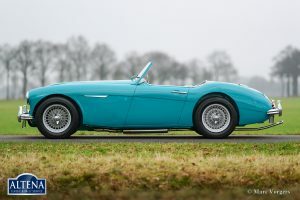 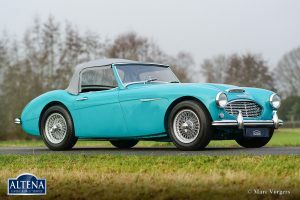 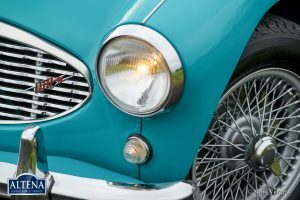 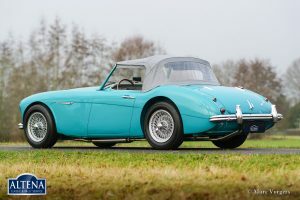 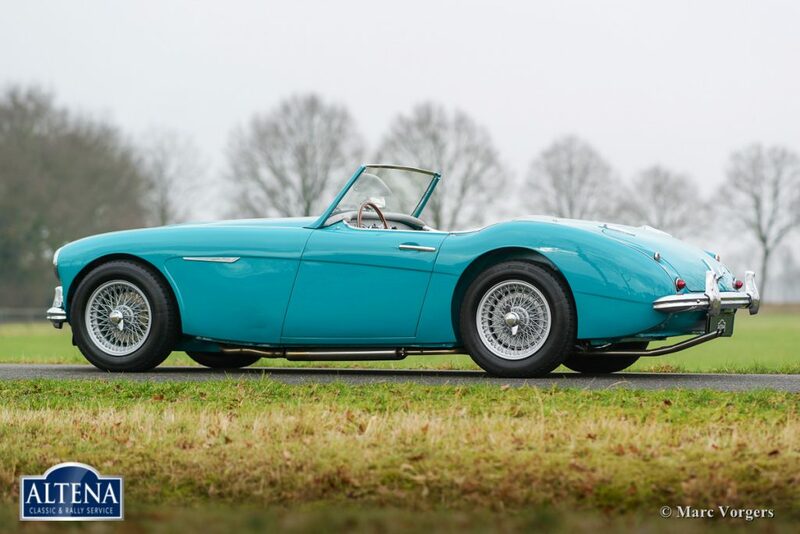 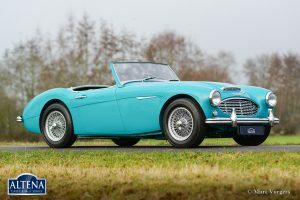 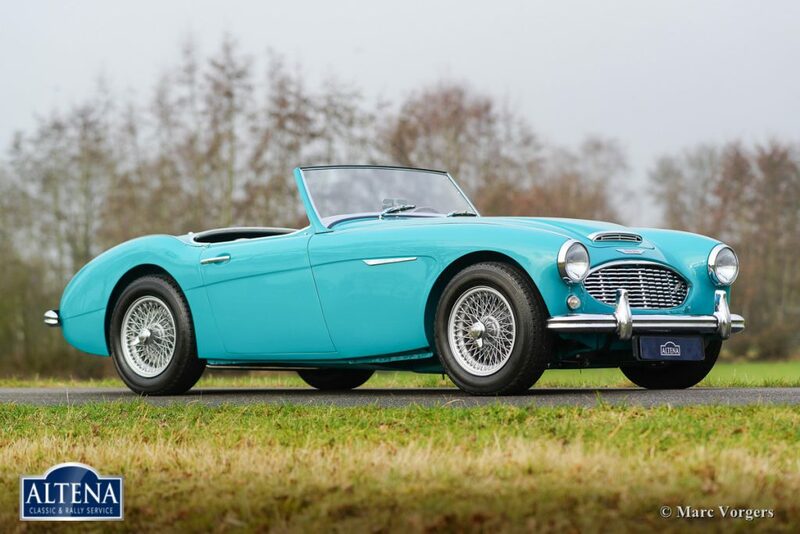 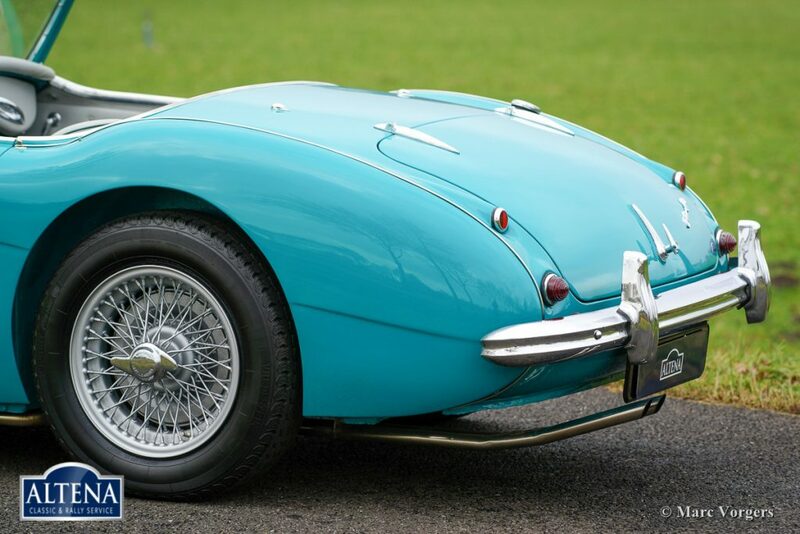 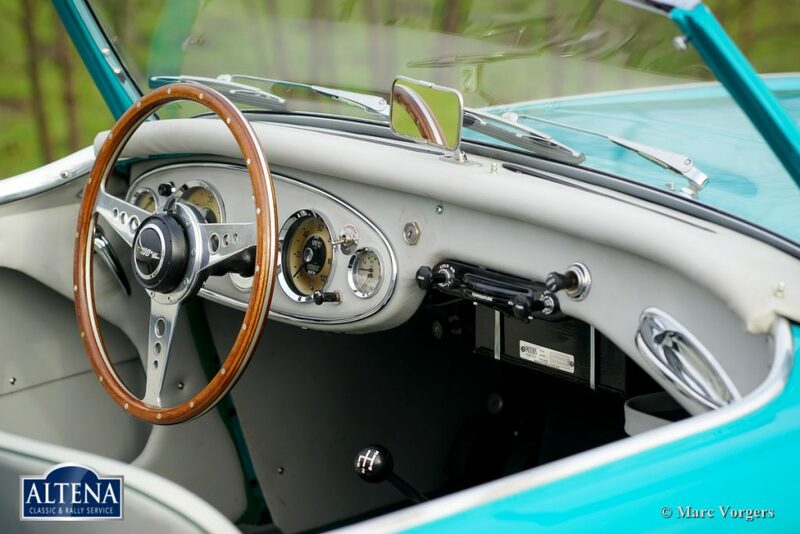 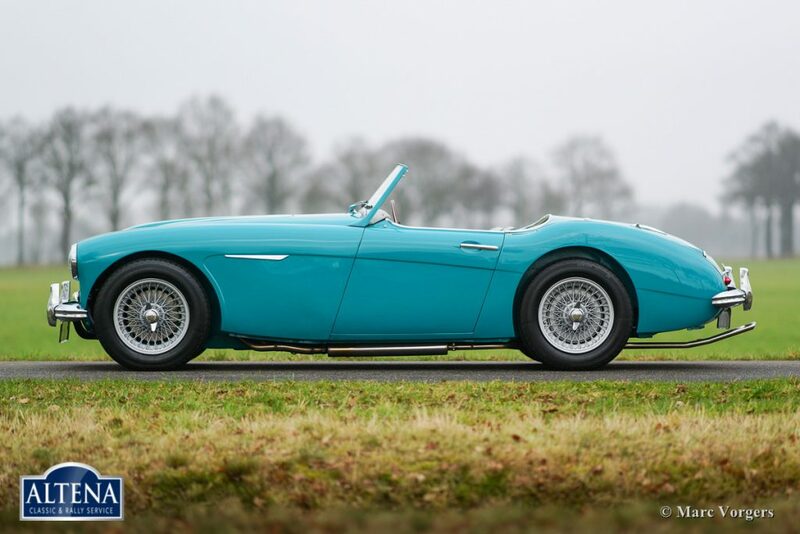 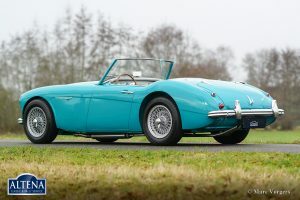 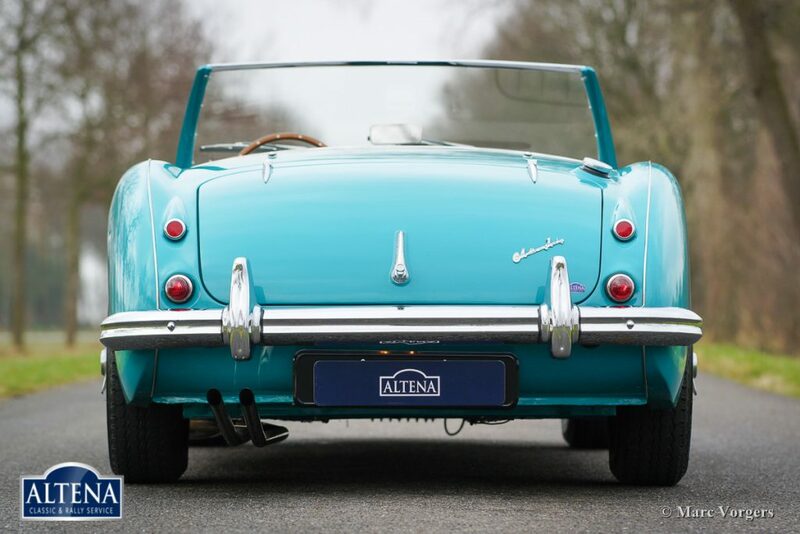 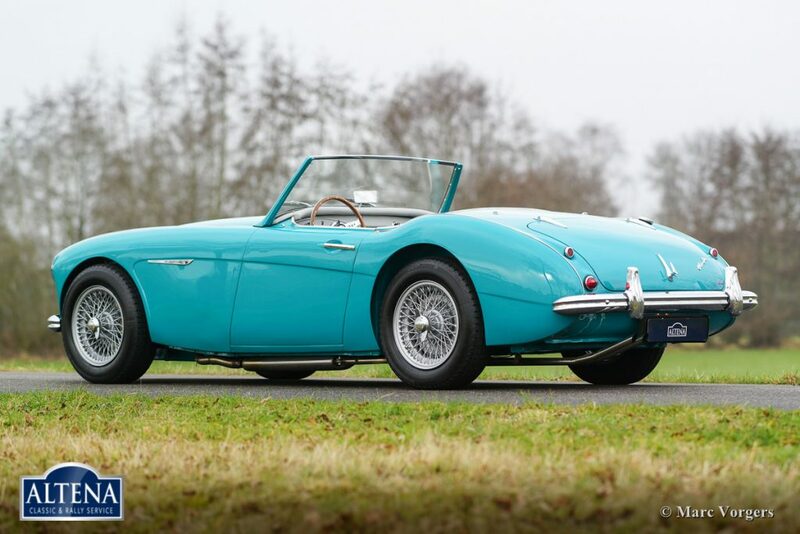 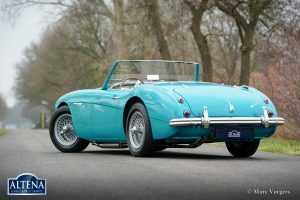 This gorgeous Austin Healey 100-SIX is a rare and original BN6 ‘two-seater’ model! 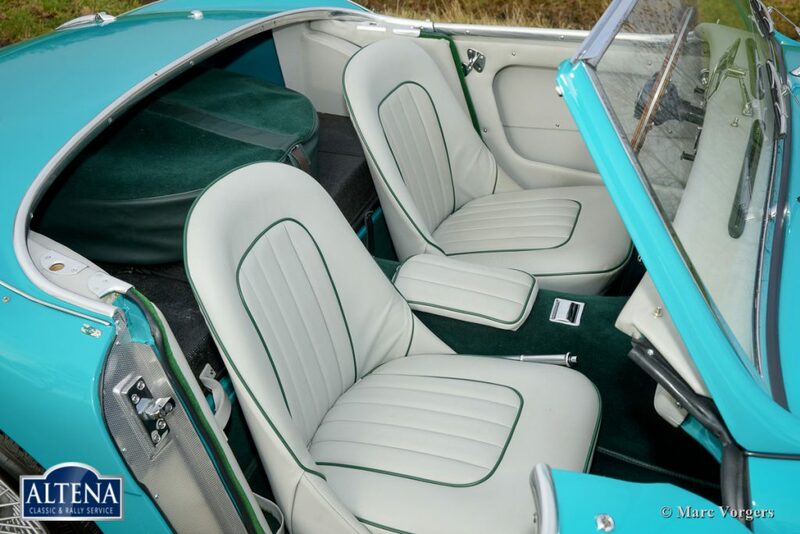 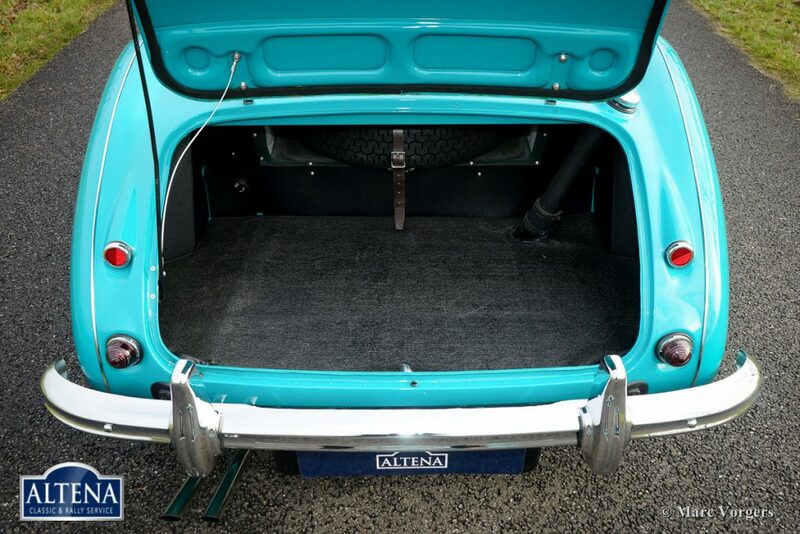 The automobile was extensively and ‘body-off’ restored in the year 2012. 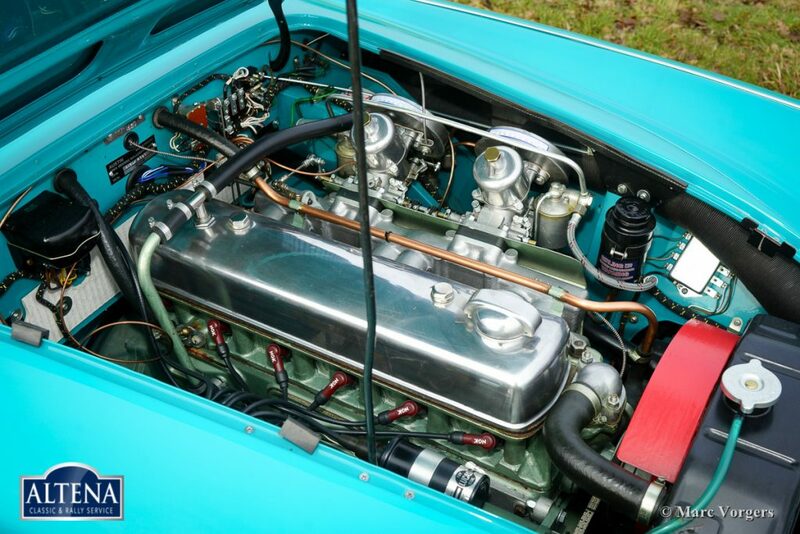 During the restoration the engine was exchanged by a 3000 unit built by Denis Welch. To have a good grip on the additional power the original drum brakes at the front were swapped for more efficient disc brakes. 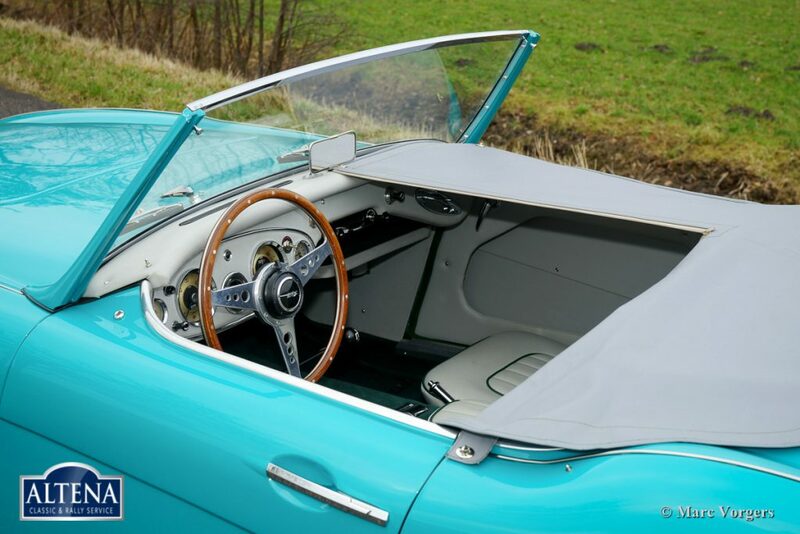 A photo reportage and invoices concerning the restoration are present. 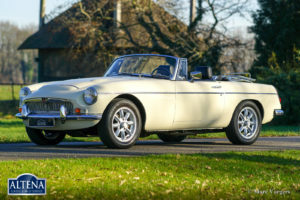 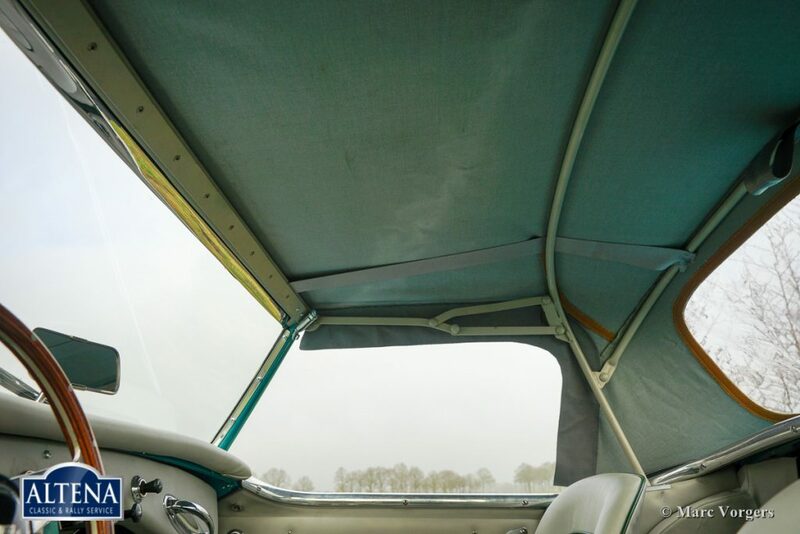 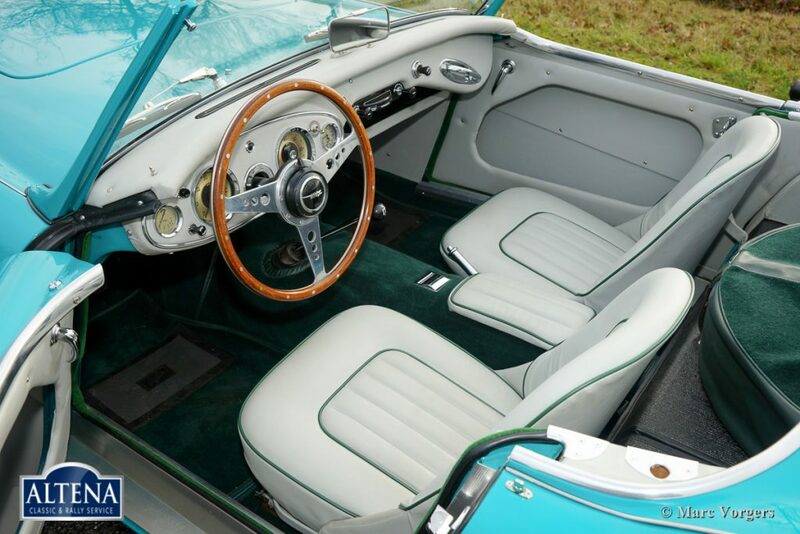 Since completion of the restoration the car has driven only a few miles. 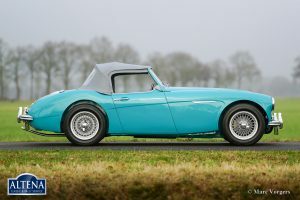 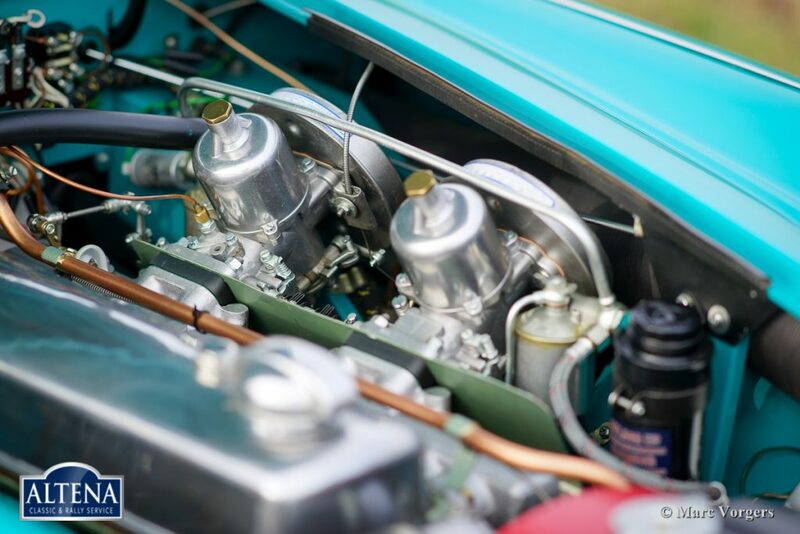 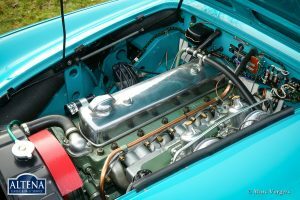 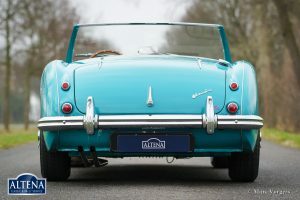 This ‘Big Healey’ is in superb top condition; concours! Next to the owner’s handbook a Heritage certificate is present. The certificate states that the car was sold new in the same colours when new! A top example.